What is the closest airport to Capitol Hill? The closest airport to Capitol Hill is Ronald Reagan National Airport in Arlington, Virginia. The two other DC-area airports are BWI Thurgood Marshall Airport (Baltimore, MD) and Dulles International Airport (Chantilly, VA). Reagan National Airport is less than five miles from Capitol Hill and is accessible by public transportation. BWI and Dulles are not accessible by DC public transportation, but do have shuttle service to DC. How can I get to/from the airport to the hotel? If you take the Washington, DC Metro system (DC's subway), the hotel is near the Union Station stop, which is accessible by the Red line. Taxis and other transportation are available from Reagan National to the Liaison Capitol Hill. There will be a welcome reception from 5:00 pm to 6:30 pm on the evening of Tuesday June 5 at The Liaison Capitol Hill, 415 New Jersey Avenue, NW, Washington, DC. A brief morning program that includes a breakfast will be held the morning of Wednesday, June 6 at the same hotel, The Liaison Capitol Hill. Be sure to return to the The Liaison Capitol Hill that evening for a cocktail reception. How do I get from the Liaison to Capitol Hill? 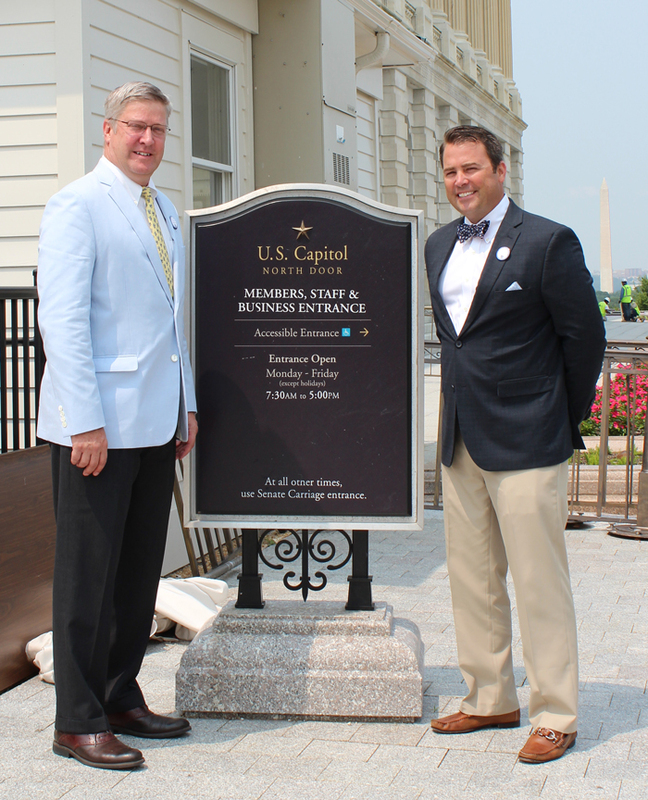 The Liaison is a just short walk to the Senate and House Office Buildings on Capitol Hill. To download a map of Capitol Hill including the Senate and House Office Buildings, click here. Taxis are also available for a nominal charge to Capitol Hill. Where is the NASBP Reception? A closing reception will be held after your visits at The Liaison Capitol Hill. The appropriate dress for visiting a Congressional office is business attire. What do I need to bring with me for the event? What will NASBP provide for me? NASBP will provide briefing material/issue briefs on issues of concern, a name tag, and folders for your visits to your members of Congress that you may leave behind. Also, please bring plenty of business cards for networking and to leave behind on your Hill visits. What restaurants are nearby the Hotel and Capitol Hill? The Hotel has a restaurant called the Article One American Grill. Within close walking distance of The Liaison Capitol Hill are Bistro Bis, (French) 15 E Street NE, Charlie Palmer’s Steak, 101 Constitution Ave, NW, the Monocle, (American) 107 D Street, NE and Johnny’s on the Half Shell, 400 North Capital Street, NW. For more casual dining there is the Union Station Food Court, 2 Massachusetts Ave, and the Dubliner (Irish), 520 North Capital Street. If your meetings are on the House side of the Capitol, there is Sonoma Restaurant and Wine Bar, (American) 223 Pennsylvania Ave, SE, and the Thunder Grill, (Southwestern) 50 Massachusetts Ave, SE. Visit the Hotel’s website for additional choices. If your meetings are on the Senate side of the Capitol, for more formal dining there is Bistro Bis, (French) 15 E Street NE, Charlie Palmer’s Steak, 101 Constitution Ave, NW or the Monocle, (American) 107 D Street, NE. For more casual dining there is the Union Station Food Court, 2 Massachusetts Ave, and the Dubliner (Irish), 520 North Capital Street.